Lea Albaugh is currently a design researcher at Disney Research Pittsburgh. She is involved with maker skill education, and has worked as a teaching artist with MAKESHOP at the Children’s Museum of Pittsburgh with a focus on teaching textile arts and new media to older children and educators. 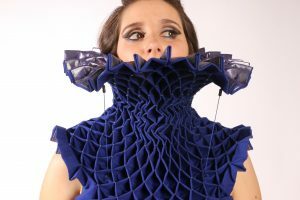 Her previous robotic textile work has been exhibited with the Rossum’s artist collective in Pittsburgh and the Border Town design studio in Toronto, Ontario. She also works in interactive narrative and video game art, including a piece in the inaugural Vector Game Art Festival in Toronto.